I don't remember much (see what I mean) about getting my driver's license. I do remember being very nervous. I think I had to go to the Georgia State Patrol office on the Madison Highway to take the test. I don't remember if I had to learn to parallel park for the test. If I did, I failed that part. I've never learned how to parallel park. There are lots of parking lots around, right? I learned to drive on my dad's red Buick Skylark with a white roof. He let me practice by driving up and down the driveway by myself, which seemed pretty easy. It was a different story out in the streets. He rode with me while I tried to drive around the neighborhood. I remember being very scared to turn corners. I only wanted to go straight, since that's all I knew how to do! 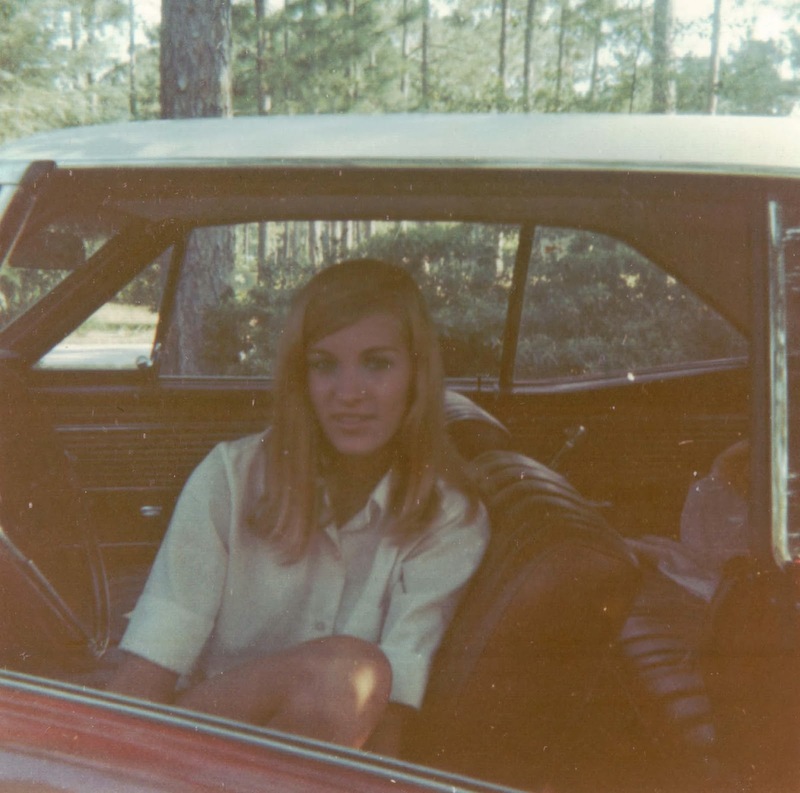 I don't know when this photo was taken, maybe at age 16, but I'm sitting in my dad's red Buick Skylark. I felt so cool behind the wheel! I'm sure I made my dad very nervous. I know I made him nervous in later years as he would cling to the arm on the door whenever I turned corners! I didn't think my driving was THAT bad (don't ask my children).